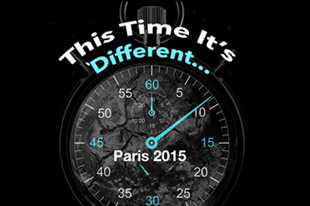 A lot is riding on the upcoming United Nations Conference on Climate Change in Paris (COP21). On Oct. 29, students will have a chance to ask questions of a panel of experts and learn about what can and might be achieved in Paris. The event will begin with a discussion between three students and three professors, followed by open questions from the audience. The Office of the Vice President for Sustainability Initiatives hosts a panel discussion on COP21. Panelists include Vice President for Sustainability Initiatives and University Professor of Sustainability Science and Policy, Sherburne Abbott; Anthropology Professor, Peter Castro; and Geography Professor, Robert Wilson. The panel, hosted by the Office of the Vice President for Sustainability Initiatives, convenes Thursday, Oct. 29, 7-9 p.m. in the Maxwell Auditorium. Refreshments will be served. For more information, contact Rachel May, Sustainability Initiatives, 443-9726 or sumay@syr.edu.